Whether you deal with ultra cold temperatures or just lots of rain and mucky stuff, being outside when it is less than ideal weather conditions can be uncomfortable. However, we are all busy and on the move and many of us love being outdoors year round. You can enjoy being outside no matter what Mother Nature throws your way if you are dressed for the elements. Stay warm, stay dry, and stay happy outside! Patagonia is definitely a brand and a name that most people have heard of, and with good reason. 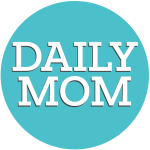 There are also plenty of reasons that this brand is on Daily Mom’s radar. If you take a little peek inside Patagonia as a company you would be amazed not only at the quality of the products that they produce but also the length they go to to create a product that is sustainable while adhering to their mission statement: “Build the best product, cause no unnecessary harm, use business to inspire and implement solutions to the environmental crisis.” What began as a small company that crafted tools for climbers has become so much more. Patagonia knows that if they want to encourage consumers to get out and see this beautiful world while using their product, then they have to do their part in preserving the wild and beautiful places they hold so dear. They work tirelessly to reduce the harm that comes to the environment as a by product of producing goods, and they also use recycled polyester in much of their clothing as well as organic cotton instead of pesticide-intensive. 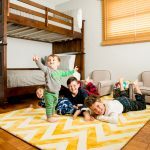 For over 30 years they have stayed true to their core values while still producing amazing and quality products and continuing to be both environmentally and socially responsible. 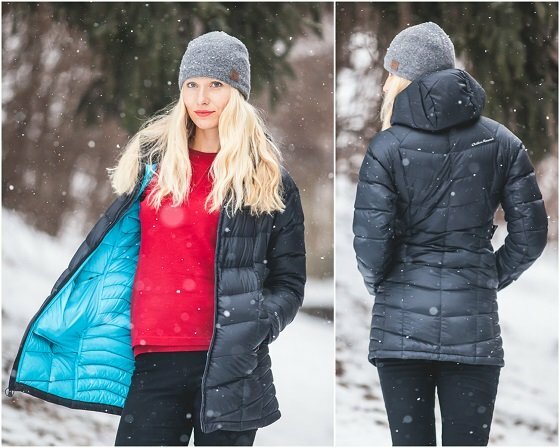 The Women’s Downtown Parka by Patagonia is the ultimate jacket for you if you are looking to get out and enjoy a crisp snowy day. 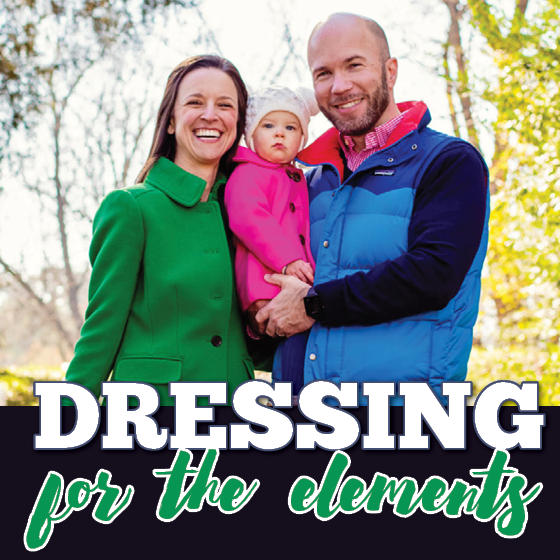 If you have tried many winter coats in hopes that chasing your little ones around on a snow day would be more tolerable, but haven’t had any success in finding one, then you are in luck! This jacket makes even the worse winter weather all the more bearable. Its satiny polyester shell is durable, water repellent, and filled with 100% traceable down. Wondering what traceable down is? So were we! Patagonia offers the highest assurance of animal welfare in the apparel industry. All of their down comes from birds that were never force fed or live plucked! 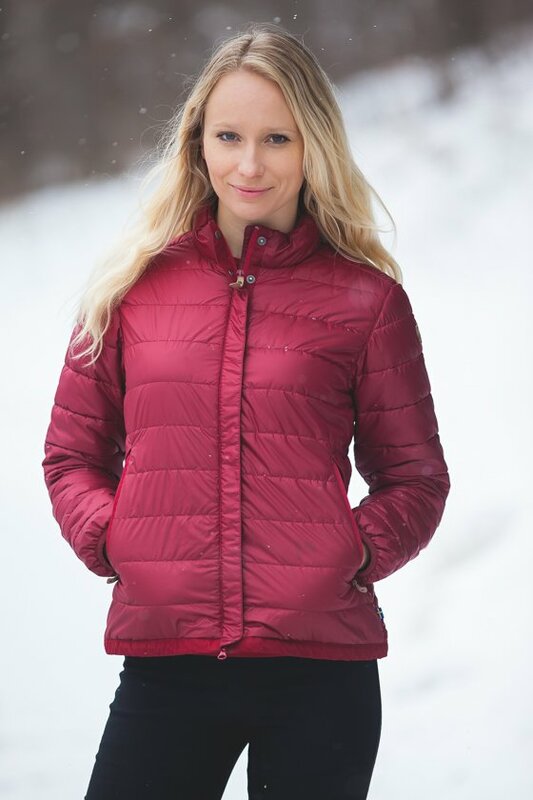 In addition to being engulfed in water repellent fabric and warming down, this jacket also has a hood that stows away into a shawl collar with a hidden zip closure as well as a 2-way front zipper with wind flap. 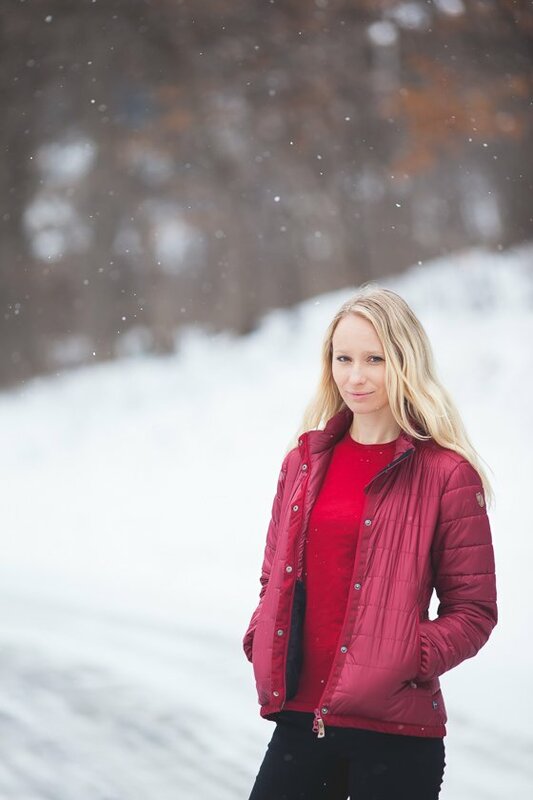 For a look that is always in style and optimal warmth, this coat falls just below the knees, and you can keep your hands warm and toasty in the zippered hand warmer pockets. Looking for a soft and fashionable way to keep those ears protected from the cold? 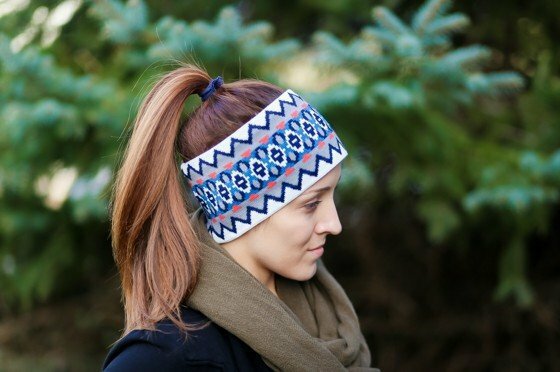 Patagonia has a Lined Knit Headband crafted with fine-gauge merino wool that offers cold weather protection from the bitter cold and gusty wind. The 100% polyester fleece inner lining will whisk away moisture and dry quickly. This wide headband is a great, comfortable and practical fashion statement for your ears. 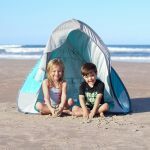 Patagonia products are perfect for families who love to get outside even in the winter but need to stay warm. Anyone who loves a high-quality product that will stand the test of time is sure to love them. 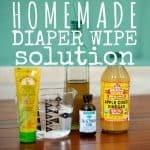 Also, if you find yourself spending time at the computer researching products that come from companies with sustainable products and mission statements that you can’t help but support, then they are a sure win! Outdoor Research is a company inspired by the desire to be outdoors. The founder, Ron Gregg, created Outdoor Research after he saw gear failure end any hopes of reaching the summit at Denali. Still following the dream of their late founder, Outdoor Research creates the best gear for your outdoor adventures because they believe life gets better the minute we step outdoors. They offer outdoor apparel for men, women and kids. Outdoor Research also makes amazing equipment for lots of outdoor activities including rock climbing, trail running, hiking, skiing and more. All Outdoor Research products come with their Infinite Guarantee, meaning they are guaranteed to last forever. 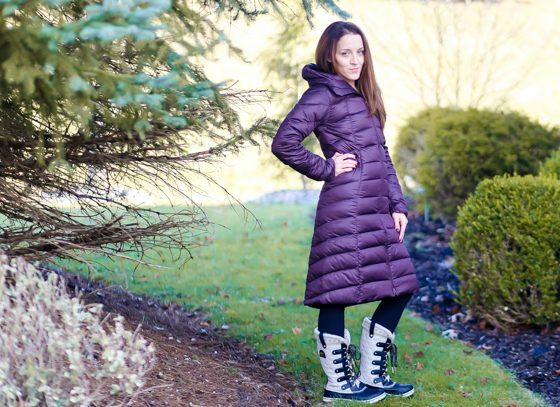 The Womens Sonata Parka is designed to keep you warm on any cold day. Outdoor Research knows that you arent just out in the cold for a climbing or skiing adventure; you may live in a cold area and have to walk to work in the cold! 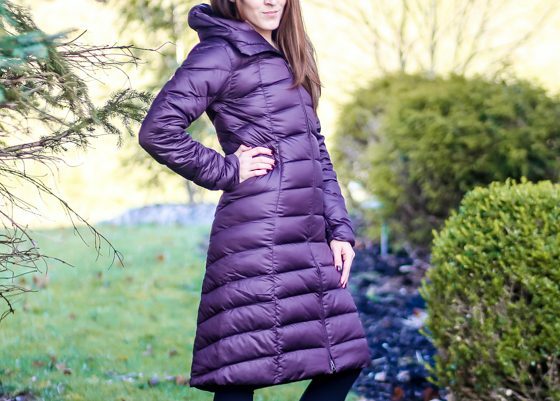 This lightweight yet incredibly warm parka hits above the knee and looks as cute as it is comfy. With a 650 fill goose down insulation, you can brave winter weather everyday with the urban style of the Sonata Parka. This parka is also water resistant with the Pertex Quantum outer. You dont have to sacrifice style when it is cold outside! This warm and comfy beanie is fashionable and practical. It is made of 100% boiled lambswool with a microfleece earband lining. This hat is well designed to keep you warm but remain breathable and wicking. Comfy and cute, you wont want to take the Whiskey Peak Beanie off when it is cold outside. Outerwear and accessories from Outdoor Research are as high quality as it gets for cold weather wear. 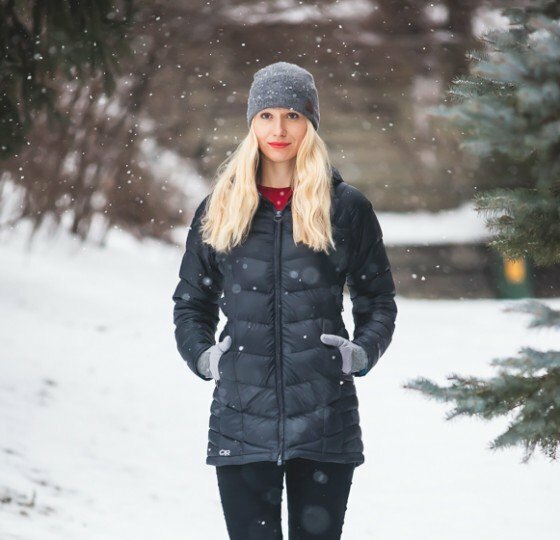 No one wants cabin fever in the winter and you can avoid the craziness by getting outside, bundled up in a parka and hat from Outdoor Research. Fjllrven was created in 1960 in Sweden by ke Nordin, who spent more time outside than inside and needed solutions to make that time enjoyable. To this day, Fjllrven offers products that make the outdoors more enjoyable for people all over the world. While this company began with its innovative framed backpack, they now offer outerwear and clothing for adults and kids in addition to the bags that made Fjllrven famous. Everything they make is functional, durable and dependable. 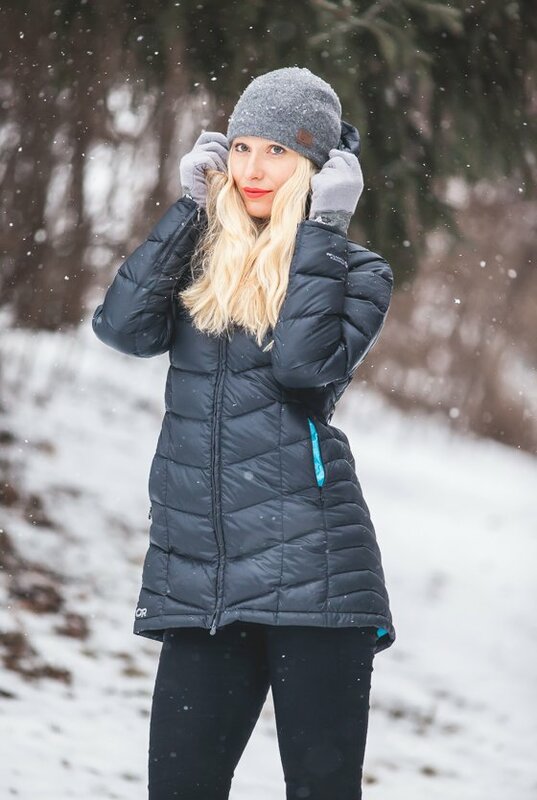 The Keb Women’s Padded Jacket gives you the best of both worlds. It is lightweight to wear but still insulated and warm. It can be worn by itself or under a shell. You can keep the cold out with the draw cord adjustable hem at the bottom. 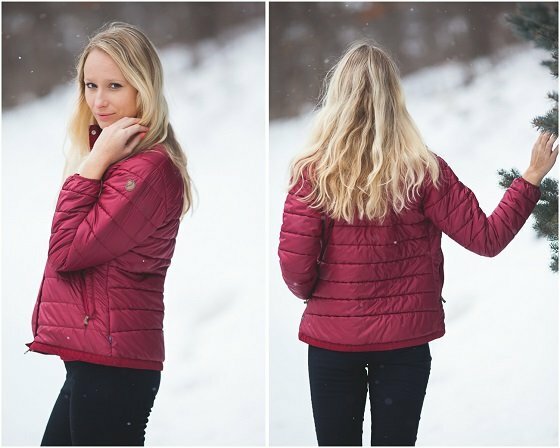 If you are heading out of town for an adventure, this coat is packable and durable. 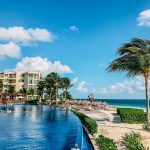 So go ahead and book that trip to enjoy the snow somewhere. 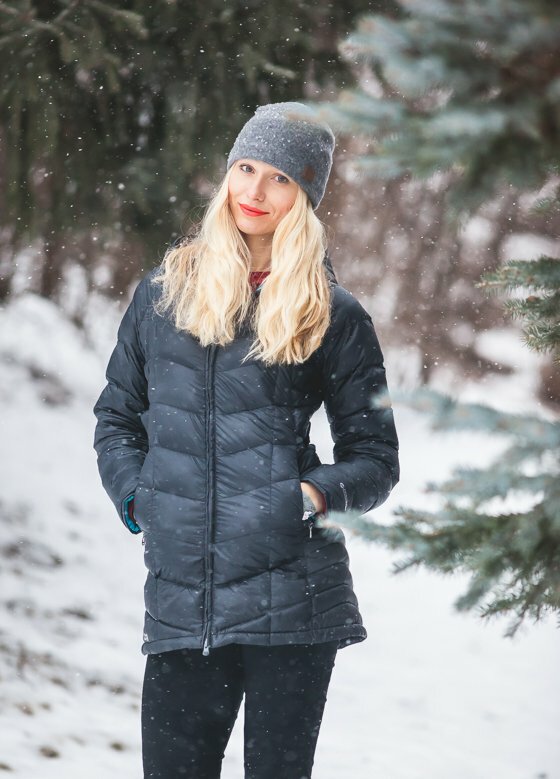 You will be ready to enjoy the outdoors in the Keb Women’s Padded Jacket from Fjllrven. 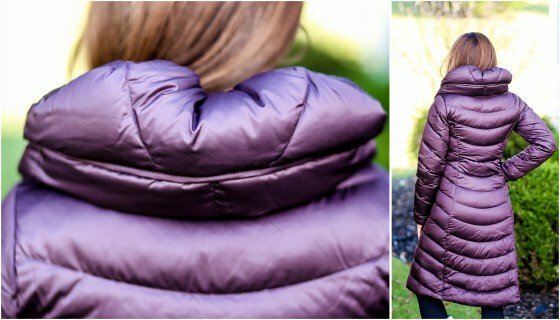 The Keb Women’s Padded Jacket is ideal for any woman ready for adventures outdoors this winter. Perfect for milder cold by itself or as a layer when the temperatures really drop! Minus 33 uses over 100 years of experience with merino wool to create high quality performance garments for the active outdoor community. Based out of New Hampshire, where they are no stranger to harsh winter weather, Minus 33 designs and tests some of the warmest garments you can buy. Inspired by everyday life, their products are for everyone. Their offerings are diverse and the quality of every single item is high. If you are going to be in the cold, you need to know about Minus 33! The Appalachia Women’s Lightweight S/S Crew is great for spring and summer in places where you need a little warmth when hiking or otherwise on the move outdoors. Chilly spring mornings still require a little insulation and you get that from this lightweight merino wool crew. Merino wool is naturally wicking, so you will stay dry when it does get warm. The Liberty Lightweight 1/4 Zip Pullover is designed as layering for outdoor activities like Winter Trekking or Mountaineering. For everyday wear, you dont have to layer it and it can be comfortable alone when it is just a little chilly outside. It is long sleeve with a length zip mock neck that allows for venting during your adventures. It is soft enough to wear without a layer underneath, made with the finest merino wool. The Franconia Womens Midweight Bottom is Minus 33s number one selling mid weight bottom and we see why! 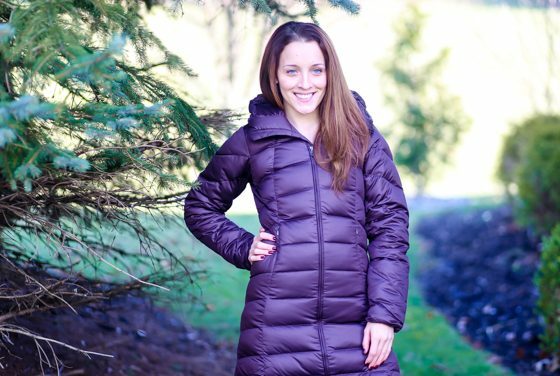 This is a multi-season layering piece that is as comfortable as it is functional. It is moisture wicking so you can wear them when you are on the move, like during a cold weather jog. Made from 100% merino wool with flat lock seams, these are incredibly comfortable. Minus 33 layering pieces are exactly what you need for a long day outdoors. 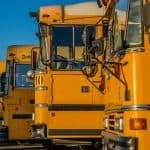 Depending where you are, there can be chilly weather year round and even on winter days, it can warm up as the day goes along or as you get moving. With merino wool layers, you can stay warmer with all your layers on or cool it off a bit by taking some off. The versatility of Minus 33 can’t be beat for outdoor adventuring. Ecco is a global shoe designer that consistently delivers quality, reliability and stylish comfort to anyone who purchases their shoes. You can afford luxury when it comes to your footwear with Ecco. Eccos designs are simple and timeless, inspired by nature. Ecco footwear is truly a longterm investment in your wardrobe because their designs outlast trends and the shoes themselves last as well, since they are carefully made with the highest grade materials on the market. The Babbet 45 GTX Boot is the perfect combination of style and functionality. This boot can be worn all day in the elements but it still looks gorgeous and feminine. With a mid-calf cut and wedge heel, you can even wear this boot with a skirt and tights when you need to dress up a little and the weather outside is frightful. Lined with GORE-TEX, the Babett 45 GTX Boot gives you total protection from winter! 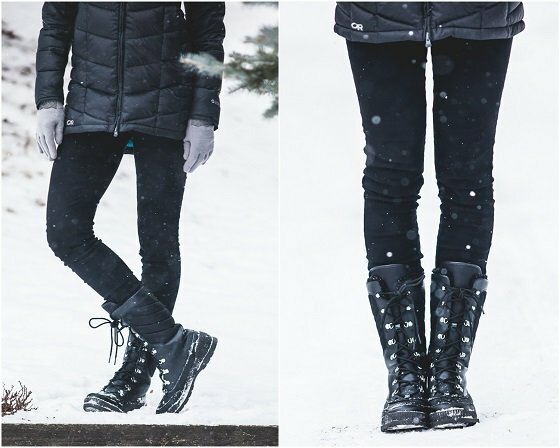 The Babbet 45 GTX Boot is perfect for any woman who needs to head out in the cold but still wants to look fabulous. You dont need to wear a clunky snow boot and then change when you get to your destination. These boots are designed to be worn in the elements all day but are styled to be worn dressed up or dressed down. 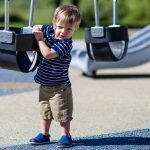 Keen Footwear was first launched in 2003 by Martin Keen and Rory Fuerst, and initially began with sandals that could also protect toes, with a thick, black bumper surrounding the front of the sandal. 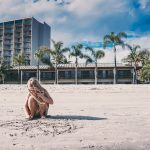 The sandals were a success, and the company began expanding to other types of footwear; they now produce everything from winter boots to hiking boots to work boots, and even clothing. The company proudly produces 20 footwear styles in their Portland, OR facility, with plans to expand US production over the coming years. Keen also believes in supporting community and outdoor organizations, and gives back to communities via an extensive yearly grant program. In short, it’s a company you can feel great about supporting! 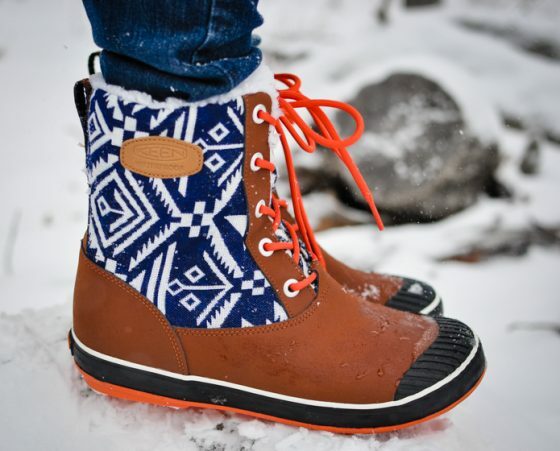 If we were to summarize Keen’s Elsa boots in three words, they would be “style meets function.” These boots are simply adorable, and we fell in love with the Aztec pattern detail and contrasting, bright orange laces, but even more so, these boots are just amazing boots. Offering one of the most superior traction in winter boots that we’ve ever experienced, and an incredibly warm, waterproof interior, Keen has really knocked it out of the park with the Elsa boots. 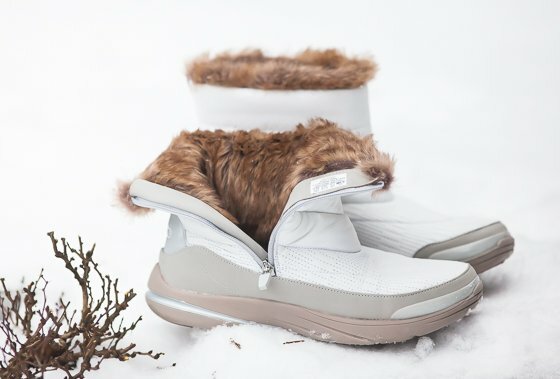 Each pair of Elsa boots features 100g insulation for toasty toes, and Keen’s own metatomical footbed design. What does that mean? These boots were anatomically designed to support and cradle the natural contours of your feet, and offer superior arch support. These boots are seam sealed for waterproof construction, and will definitely keep your feet dry and warm this winter. The Elsa boot is available in six different colors and patterns, so you can pick whatever style suits your fancy. 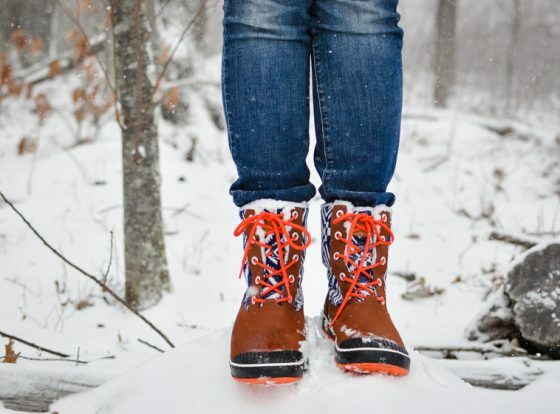 Winter boots from Keen are perfect for anyone who values style and function. Each pair of Keen boots is constructed to withstand the elements of winter, while keeping you looking stylish and fashion-forward. “By its inukshuk and whale bone structure, our logo embodies our products. In 1932, William Cook purchased Charron Manufacturing (est. in 1898) and shifted its focus on performance footwear. 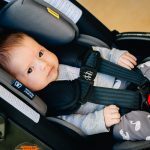 Ever since, Genfoot Inc., the parent company of Kamik, has been designing and producing footwear with innovative technologies that fit every lifestyle. With over 100 years of experience and expertise, this family owned and operated company manufactures 70% of their products in Canada to this day with great respect for the environment, their local employees and their footwear. 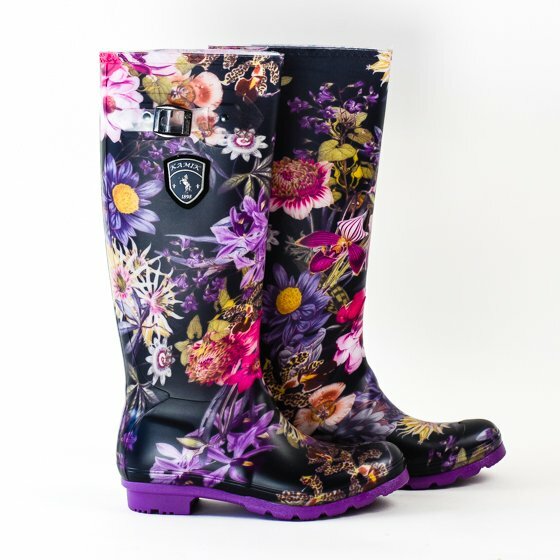 The Orchid rain boot from Kamik’s new Spring/Summer 2016 line (coming soon!) is ideal for those who just want to be outdoors. The fun, flirty floral print is the perfect accent to any outfit, and will brighten your mood on even the gloomiest of rainy days. 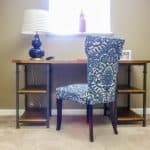 A buckle at the top is functional and attractive, and it will keep your pant legs (not to mention feet!) dry and toasty. 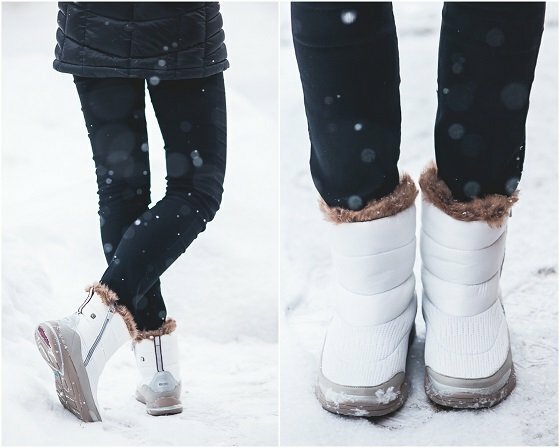 Slip on a Kamik Liner under your rain boots to instantly transform your rain boots into snow boots! The liners are weather rated to -40F and feature three layers: 2mm polypropylene wicks moisture away from the foot, while the 5 mm black polyester felt traps body heat, keeping your foot warm, and the third layer is comprised of 1 mm thermal foil, which deflects cold air and allows moisture to escape. 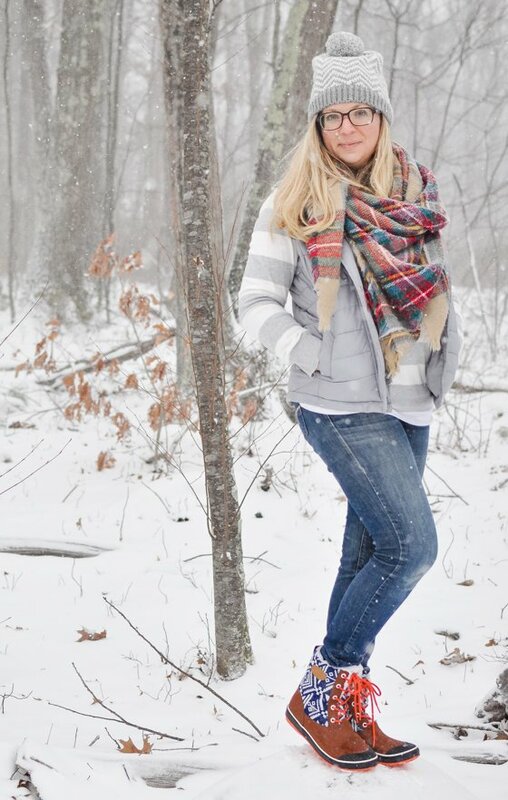 The SHARONLO boot is the perfect boot for a fun and casual outdoor romp, no matter what the elements may throw at you. A shorter length boot is ideal for people who have a hard time fitting into boots that go over the calves, but still want to have a fun and flirty pair of boots, none-the-less. 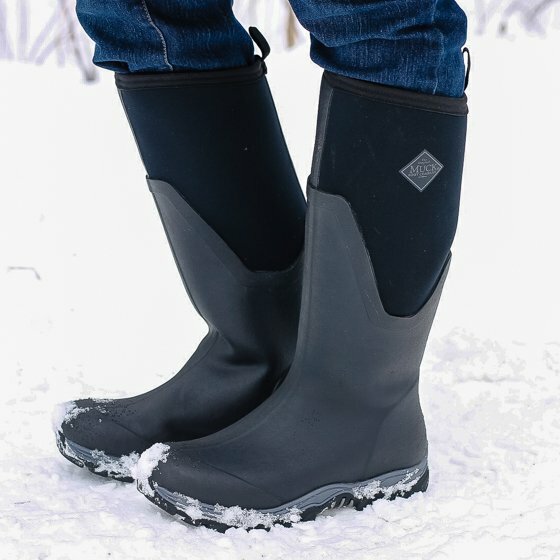 The waterproof technology make them practically impermeable to snow and leaks, without the extra typical “bulk” or weight of regular rain boots. Every single seam is sealed, so your feet remain snuggled inside a warm and dry cocoon, sheltered from Mother Nature outside. They are extremely easy to slip on and off, since the 6″ high cuff also features a loop on the back, and side elastic straps. The SharonLo is available in multiple color schemes, and, if you are yearning for a taller cuffed option, they are also available in a 9.5″ boot. Kamik boots are the perfect addition to any wardrobe. They can easily be worn in any weather, as they are a beautiful (and fun!) fashion statement, not to mention being sleek and functional. We love the affordable prices of Kamik, as well as their dedication to quality footwear that has been evident in their strong 100+ year long reputation. 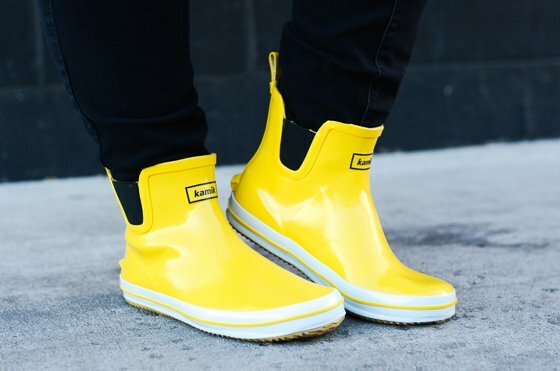 You can truly wear Kamik rain boots year round- and look amazing while doing it! 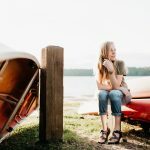 The original Muck Boot Company was established in 1999 to provide their customers with the best boots for every outdoor occasion. Muck Boots design their boots to take on the toughest conditions while providing the most comfortable, high-performance outdoor footwear on the market. With over 60 styles of rubber and leather footwear expected to deliver the same 100% waterproof quality and comfort, each line is specifically designed to tackle tough conditions in agriculture, work, lawn and garden, outdoor sporting, urban commuter, pet care markets and equine. The Muck Boot brand prides themselves on their comfort and quality that is far superior than the competition which leaves their customers extremely satisfied. They’ve created a loyal customer base and have become one of the fastest growing lines of waterproof footwear in the market today. The Muck Boot Arctic Sport II Tall boots provide comfort, support and warmth for the coldest of days. This versatile boot is ideal for those who just want to be outdoors. Whether you’re working in the barn, hiking in the mountains or engaging in everyday activities, these boots are built to last. The Arctic Sport II Tall is Muck Boots’ redesigned boot, which has been upgraded for improved warmth and comfort that won’t disappoint! Muck’s Arctic Sport II Tall boots are designed for a variety of weather conditions, which makes them ideal for those who live in areas of mild to extreme cold as well as those who live in a place where it rains often. 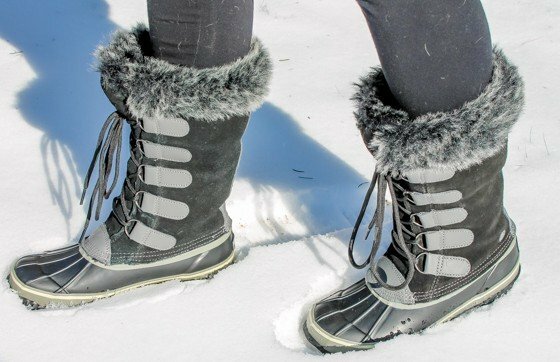 These boots are perfect to wear outside when having to take care in the foot of snow you received, or if you’re simply out and about running errands. The slip-resistant bottoms give you peace of mind when venturing out, and your feet are sure to remain warm and dry. 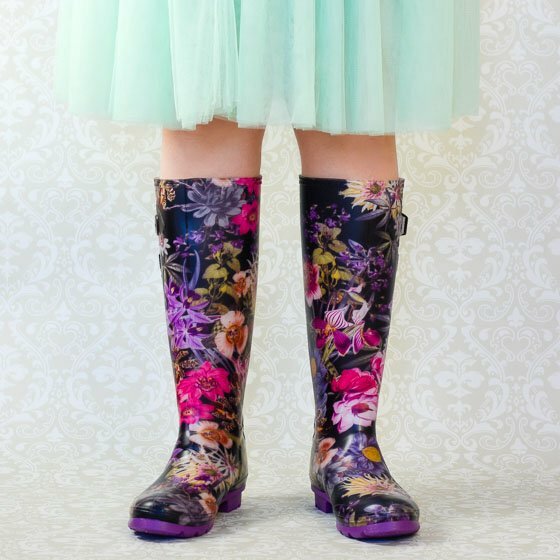 Born from the idea that rain boots are a must-have accessory for the modern woman, Chooka makes fashionable yet functional waterproof footwear in a variety of colors and trend-centric prints. 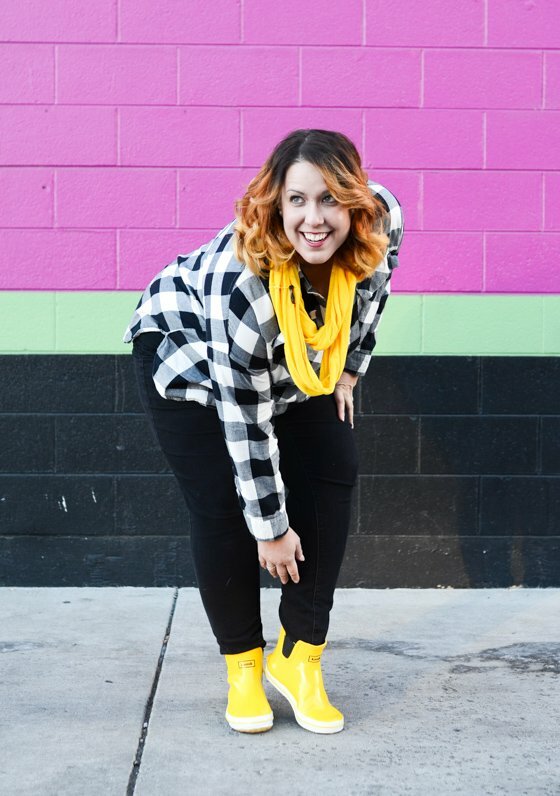 Chooka boots are for the contemporary mom who loves sophisticated classics, pops of playful prints and color, but who finds herself busily running errands all over town and needs practical footwear to keep her feet cozy and dry. 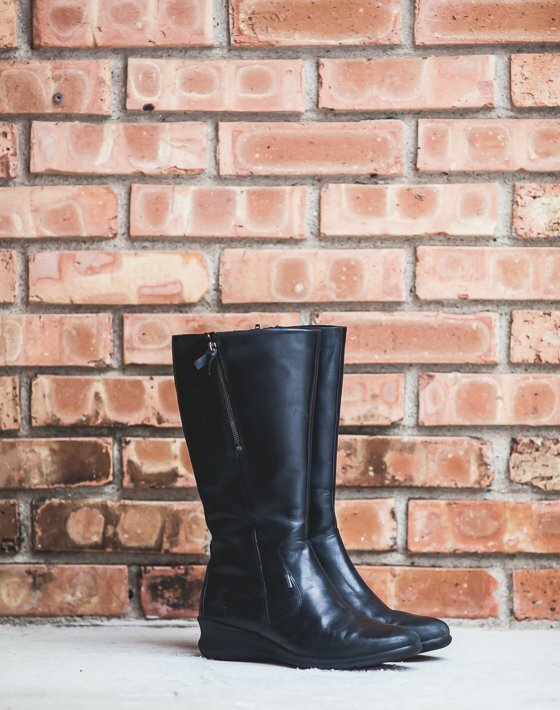 We love a classic tall rain boot. Whether you’re wearing jeans or a flirty dress, they keep your feet dry in the pouring rain, and puddles are no obstacle as you run your children into school or rush the groceries to the car. And you can always add a fleece liner to really keep your feet warm and dry on those snowy days. Unfortunately, as much as we love our wellies, they aren’t always the most practical. Perhaps you have a business meeting and your slacks won’t fit into your pants, so you’re left jumping puddles in the parking deck of your office building to avoid ruining your nice shoes. Or maybe a tall rain boot is simply too much for those summer days when you’d rather be wearing a pair of sandals. Either way, there’s nothing worse than being caught out in the rain while wearing your favorite pair of non-waterproof shoes, which is why we love Chooka’s Duck Skimmers. 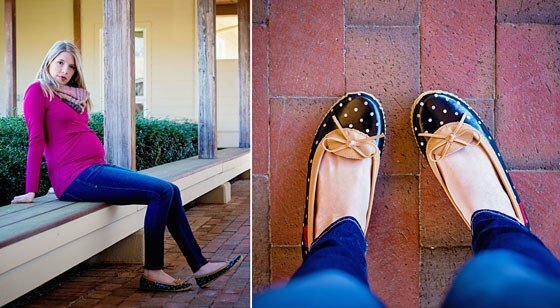 These flats are as comfy as they are adorable. 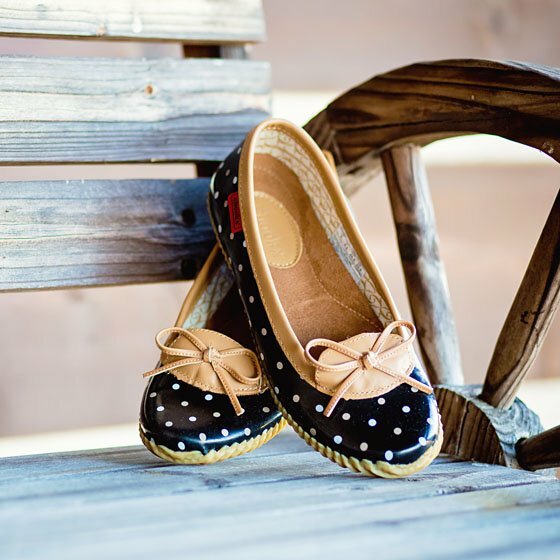 Not only are they super cute, but they are lightweight and will fit your feet perfectly rain or shine. The Chooka Skimmers are handmade with a moisture-absorbing lining, all-natural rubber, soft leather trim and a decorative tie. This shoe also has a great rubber traction sole to prevent any slips or falls, and comes with a removable insert so your feet will stay dry on those damp days. It is an easy slip-on flat that you can quickly put on as soon as it starts raining, but so cute that you’ll wear it even if it’s not; and they can be worn all year long. 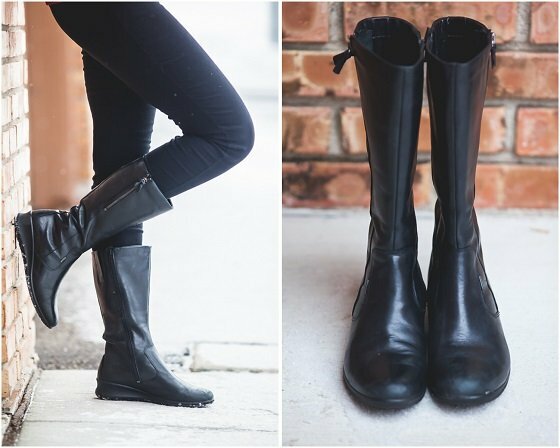 With knee-high boots, mid-calf boots, booties and flats, Chooka has a style suitable for every woman and for all weather occasions. Specifically, these duck skimmers are perfect for any mom who is on the go (and who isn’t these days). Rockport began in 1971 when a father and son asked themselves why there werent dress and causal shoes as comfortable as sneakers. Today, Rockport still offers the best in fit, technology and comfort in footwear. They bring sports technology to every shoe they design and create shoes that are as fashionable as they are functional. You shouldnt have to sacrifice quality for style and with Rockport, you never will! The Aliana Quarter Lace Up by Rockport is an amazing boot designed to hold up through the toughest of wet, winter weather. 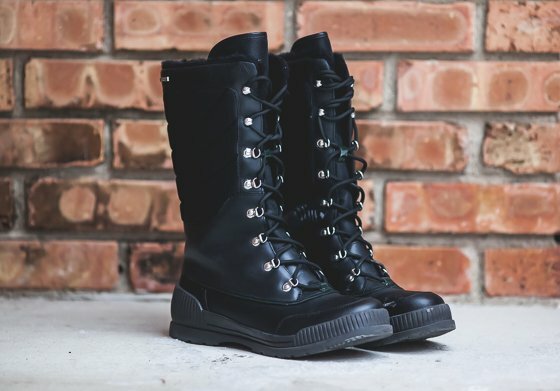 The Aliana Quarter Lace Up doesnt just look fabulous on, it contains Hydro-Shield waterproof construction to repel water in the cold when the last thing you want is wet feet! You wont slip on ice with the gripping rubber outsole and your legs and feet will feel amazing all day thanks to the ADIPRENE and ADIPRENE+ by adidas sport technology. Your feet will stay toasty thanks to the warm lining, quilted accents and leather upper. Look great and feel your best when you are dealing with the elements in the Aliana Quarter Lace Up from Rockport. The Aliana Quarter Lace Up by Rockport is perfect for the woman who needs to keep her feet warm and dry but still wants to look amazing. These boots get the job done in wet, winter weather and look cute at the same time. Are you looking for a versatile shoe brand that will satisfy all your outerwear needs? 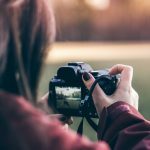 Look no further than Northside! Northside was founded by Triple T Trading, a long running company in the footwear industry established in 1985. They set out to create high quality footwear for rugged conditions. Northside specializes in everything from snow boots to trail. If it’s a rugged environment, Northside has an answer for it. Not only did they want to build a quality product, but they wanted to do it at a great value. 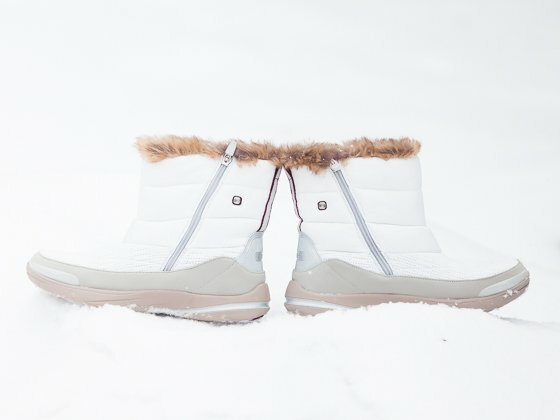 Northside’s Mont Blanc Waterproof Snowboot is the perfect winter boot. Its trendy and stylish look will stand out instantly. Don’t be fooled by style! It offers incredible functionality as well. It is crafted of waterproof rubber, suede/leather uppers and has a luxurious faux fur collar. It also has thermolite insulation that is rated to -25. These boots are extremely comfortable and will keep your feet warm on even the coldest winter days. 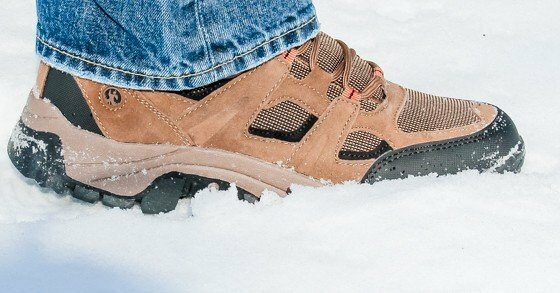 The Monroe Hiking Boot is the perfect all-around winter boot for men. It features a suede/nylon combination that is both practical and stylish. The padded collar and tongue makes it extremely comfortable for long days! Its TPR outsole offers absolutely amazing traction. Whether you are heading out in the snow or hitting the trails this spring, the Monroe has you covered. 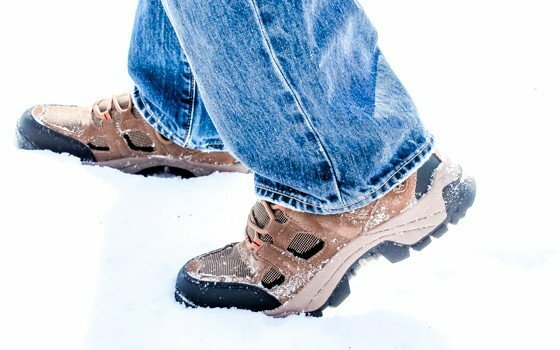 Men and women who face tough winters need quality, durable footwear that will endure the harsh conditions. Northside footwear is an excellent choice for all those tough winter conditions; you get high quality footwear at a great value. Bzees is the most fun shoe company you will find. They are all about everyone reaching a state they call Shoetopia where you are blissful, ready to go anywhere and take on anything. Their shoes are light, never weighing you down. Bzees are easy to wear and easy to wash. They have something for every season, so grab a pair and let the fun begin. 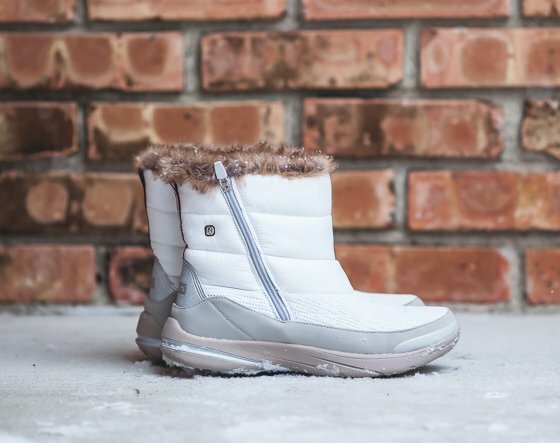 Get ready to play in the snow in the Luscious Water Resistant Boot from Bzees. 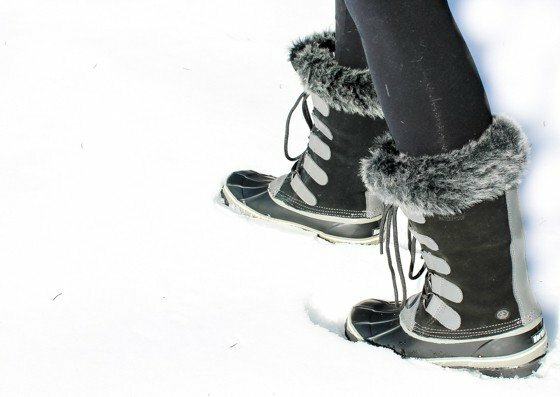 These cold weather boots are designed so you will not only be warm, but you will feel weightless, energized and free. We love the cute puffer style on these boots and the one inch heel is just right. With Bzees Free Foam Footbed and Air Infused Outsoles, your feet will feel amazing, even if you are out in the cold all day. The Luscious Water Resistant Boot will be well loved and well worn because of its ridiculous comfort and fun style. Even in winter weather, your feet will feel like they’ve never felt before and you can play all day without a care in the world. Don’t wait for perfectly sunny days to enjoy everything that outside has to offer. Now that you know what you need to get out in the elements, here are some reasons for Why Your Kids Need to Play in the Cold.